Easy recipes and ideas for using this aromatic herb. Fennel has many health benefits and can be used to enhance numerous meals and side dishes. Fennel is a delicious herb most easily recognized for its strong licorice-like aroma and flavor. 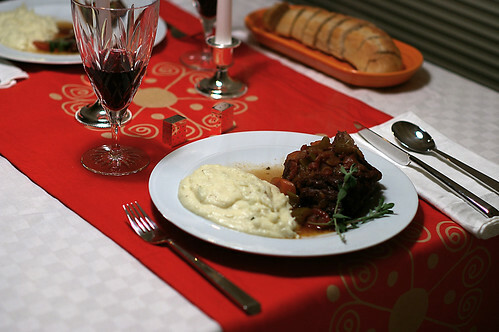 Indeed, fennel is a key component in the manufacturing of licorice, and it is favored by many Mediterranean chefs for its strong and unique flavor profile. All parts of the fennel plant can be used in cooking, from the sturdy bulb and stems to the delicate frilly fronds. 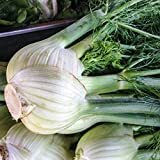 Yet for those unfamiliar with fennel, its intense flavor can make it daunting to use or understand how to best incorporate the herb into their regular diet and recipes. Fennel has many beneficial, medicinal properties that make it worth learning how to use in cooking. Fennel is known for stimulating the appetite and soothing digestive upset, particularly for cancer patients after going through radiation and chemotherapy treatments. Fennel has also been used to treat congestion, conjunctivitis and anemia. It is a good source of Vitamin C, fiber, potassium and manganese, which are all important to our health and nutrition. It's great for your heart health, too! What follows are five simple ways you can prepare tasty side dishes, salads and main courses incorporating fennel. Try some of these for an interesting and exciting change of pace one evening, and soon fennel will surely become one of the staples of your regular diet as well. Image above courtesy MaxStraeten at morguefile.com. In Italy, fennel is often enjoyed in a very simple marinated salad, as an appetizer or after a main course. Thinly-sliced raw fennel is marinated in olive oil, lemon juice, salt and pepper and served at room temperature. The success of this dish of course hinges on the absolute freshness of the fennel and lemon, and the use of the best quality extra virgin olive oil. 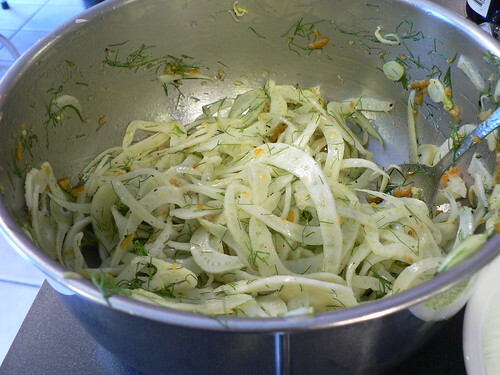 Kitchen Riffs has a classic Shaved Fennel Salad recipe you can try. For a more Sicilian variation, try combining the thin sliced fennel with orange slices, black olives and mint along with the olive oil and lemon juice. The combination of salty, sweet and herbaceous flavors is exceptionally tasty. Another great marinated salad idea is to combine matchstick-sliced fennel and apple in lemon juice and a mustard-based vinaigrette. Thin-sliced red onion can add a little color and tang as well. In each of these recipes, only the fennel bulb is used (along with some fronds to finish the plate), and a mandoline is recommended to get the fennel slices as thin as possible. 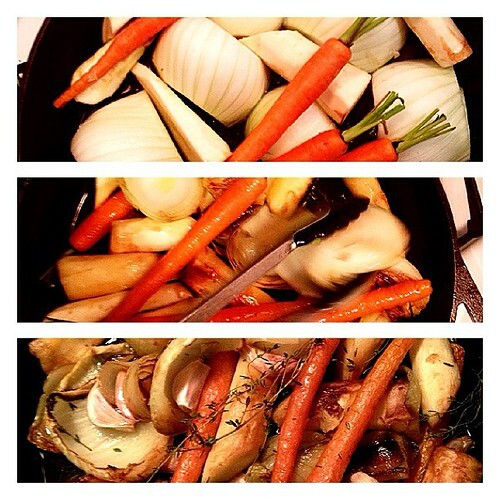 Oven roasting serves to make the fennel sweeter and mellow some of its strong anise flavor. Combine wedges of fennel bulb with other vegetables such as red onions, bell peppers, zucchini, sunchokes or baby carrots in a roasting pan. Coat with kosher salt, fresh ground pepper, olive oil, a spring or two of fresh herbs, and perhaps a splash of balsamic vinegar. Roast in the oven at 400 degrees for 40-60 minutes, tossing the vegetables from time to time to ensure even cooking and testing for doneness. You might need to remove some vegetables sooner to prevent them from over-cooking. Serve the roasted vegetables as a wonderful side dish to a grilled steak, or chop them up and toss with pasta, cheese and additional olive oil for a wonderfully healthy pasta primavera. My own recipe for Roasted Autumn Vegetables with Italian Gremolata is perfectly suited for fennel and other vegetables of the season. Fish soup is a staple of Mediterranean and coastal cooking everywhere. It often features a vegetable base of onions, garlic, celery, carrots, bell peppers and parsley sauteed in olive oil before the addition of tomatoes, spices, wine and mixed fish. Fennel can make a great addition to a fish soup, for a subtle anise flavor that accents delicate white fish and shellfish and transform a dish into something unique and memorable. For an exciting variation on traditional fish soup, substitute a fennel bulb for the onion and add the juice of an orange as well. The delicate fronds of the fennel can be added at the last moment for a fresh, aromatic touch just before serving. 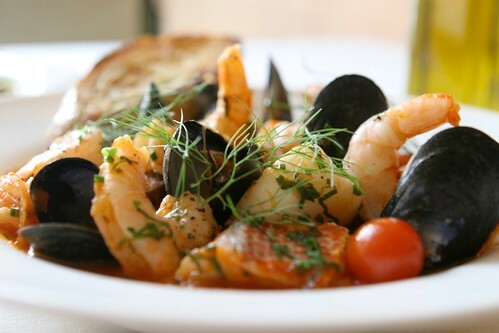 One of my favorite recipes along these lines is Emeril Lagasse's Mediterranean Fish Soup, which includes fennel, saffron, shrimp and garlic-rubbed croutons. I've made it a number of times to great praise and success. 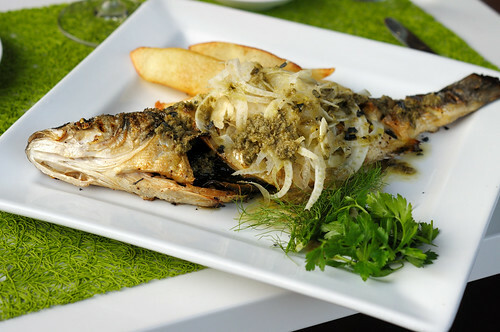 Fennel and fish is a classic combination, no doubt due to fennel's origins in the Mediterranean. Cooking a whole fish such as a sea bass or bronzino can be a daunting task to many chefs, but here's a quick and delicious way to impress dinner guests with your culinary skills. 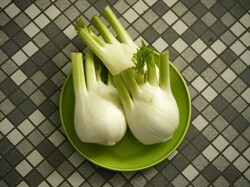 Cut a fennel bulb and white onion into thin slices and saute in olive oil until just tender and beginning to caramelize. Wash and pat dry your cleaned whole fish, brush with olive oil and season inside and out with salt and pepper. Fill the fish cavity with the sauteed onions, fennel and wedges of fresh lemon. Wrap the fish in aluminum foil and bake in the oven until the fish is cooked through and flaky - 20 minutes at 350 degrees should suffice for a smaller whole fish of 1-2 pounds, but more time may be needed for larger fish. The fennel and onions will make the fish wonderfully aromatic, and the lemon will help keep the fish juicy while cooking. Grow your own fennel in your garden! Bolt-resistant fennel. The Swiss-bred standard; bolt-resistant enough for spring sowing. Large, flat-round bulbs. The health benefits of fennel include Anemia, indigestion, flatulence, constipation, colic, diarrhea, respiratory disorders, menstrual disorders, eye care, etc. What makes fennel so unique, versatile and good for you? Fennel: We want you to know your herbs! Fennel is one herb I have never used. That's very interesting to know, frankbeswick! I have only grown it in pots myself, and mostly for the aromatic fronds as it's hard with our weather conditions to get a full, large bulb to grow. Fennel is a great herb, but here is a quick tip. If you want to grow your own, grow it in a pot, as it exhibits allelopathy, which is the ability to suppress the growth of plants grown near it. They can be miserably small and weak. I love fish stews and never tried them with fennel, so I'll do that. I often use fennel in a dish of oven-roasted veggies, just like you say. I combine carrots, garlic, onion, and other veggies with beets and feta cheese. Salt is one of the most basic and also most important seasoning elements in many cuisines around the world. But how good are your "salt skills"?